We are often asked if the Law Firm is located in Vancleave, Mississippi, a town located near the Pascagoula River on Highway 57 in Jackson County. Although Van Cleave Law is located in Biloxi, there is a tie in between its Principal, Christopher C. Van Cleave, and the Vancleave community. The community now called Vancleave was originally known as Bluff Creek. It became known as “Vancleave” in approximately 1870, when its name was changed in honor of former merchant and postmaster, Robert Adrian Van Cleave (1840-1908). 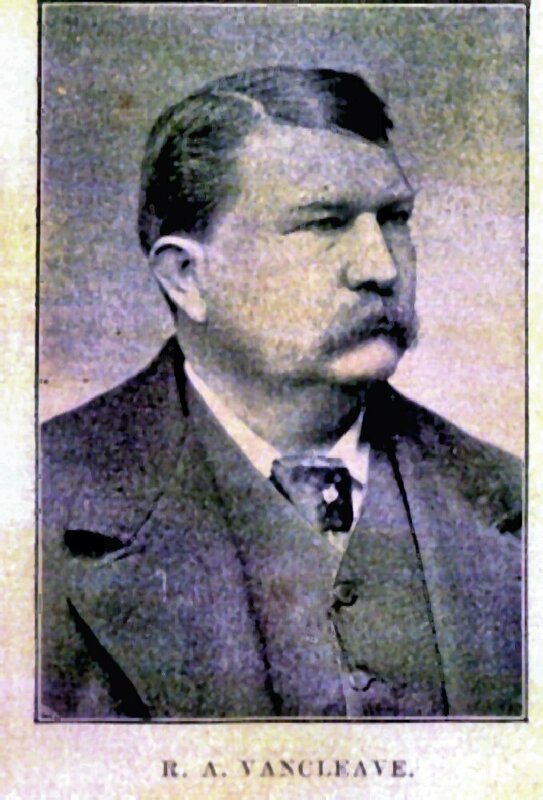 A Civil War Veteran and a businessman, Robert A. Van Cleave established a general store in the Bluff Creek area in 1868 to supply the (mostly timber) workers coming into the bayou. Over time, Van Cleave became increasingly popular. In approximately 1872 Van Cleave was named Postmaster, a position he served for the next ten years. Van Cleave relocated to Ocean Springs where he built another general store and hotel. Van Cleave also served as the City of Ocean Springs’ first provisional Mayor. In his later years Robert A. Van Cleave was appointed multiple office positions including school board and the board of health, and was appointed special agent of the U.S. Land Office for Mississippi and Louisiana. When Robert A. Van Cleave retired in the late 1890s he left the store in the hands of two of his sons, William and June. Although Christopher C. Van Cleave did not move to Biloxi until 1997 (he grew up in Centreville, Mississippi), he is the Great Great Grandson of Robert Adrian Van Cleave. How and why the name of the town was combined as one word (“Vancleave”) instead of the two words (“Van Cleave”) of the surname shared by Robert and Christopher is not documented.